Following the fall of the Soviet Union in 1991, some Russians were able to amass vast fortunes putting them amongst the richest men in the world. According to Forbes, Russia currently has 77 billionaires despite the country’s current economic crisis. In the past two decades, these oligarchs have been instrumental to the development of the yachting industry, setting a new benchmark as to what could be considered to be a megayacht. In 1990, the world of megayachts was mainly dominated by Middle Eastern Royal families and Greek magnates such as Stavros Niarchos (commissioned the Atlantis and Atlantis II). 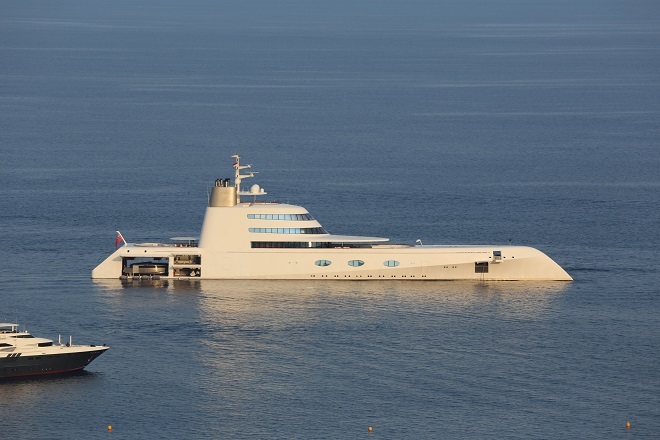 The 147m Prince Abdulaziz, owned by the Saudi Royal family, was at the time the largest superyacht in the world. In the late 1990s and early 2000s, the landscape of the megayacht industry however started to change with a new influx of owners from Russia and the US tech scene. From 1992 to 2005, 20 superyachts over 80 meters in length were delivered, surpassing the 19 megayachts delivered from 1865 to 1992. These new megayachts famously included Paul Allen’s Octopus, David Geffen’s Rising Sun, Berezovsky’s Radiant but also the yachts that came to be known in the field as Abramovich’s Navy consisting of Sussurro, Ecstasea, Le Grand Bleu, Luna, Pelorus and later Eclipse. As the financial crisis hit the sector in 2008, the small and middle-size yachting market was severely hit but while many thought the megayacht industry would collapse, it continued its exponential growth. Between 2008 and 2016, a further 48 megayachts have been built, doubling the previous decades’ amount of yachts over 80m delivered. Not only were there suddenly more megayachts but their size also grew with the 162.5m Eclipse being delivered in 2010 for Mr. Abramovich. This growth in uncertain times was once again, in most part, brought by an expanding class of Russian oligarchs. Serene, first yacht built by Ficantieri was ordered by Yuri Sheffler before being sold in 2015 to a Middle Eastern buyer. 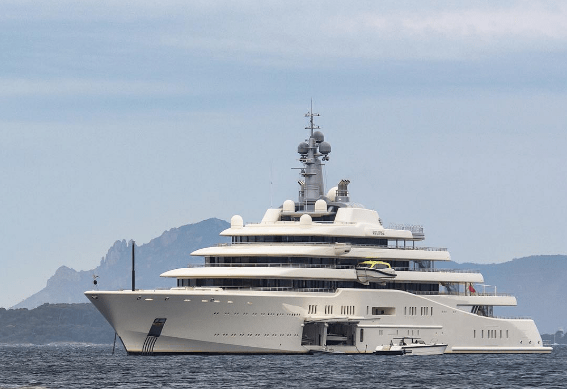 M/Y A was famously commissioned by Andrei Melnichenko and delivered in 2008, same year as Lurssen delivered the first 110m Dilbar to Mr Usmanov. As many began to think that this segment would finally collapse with a weak recovery followed by recession in Russia, demand did not go away. In 2014, 104m Quantum Blue was delivered to Sergey Galitskiy and 140m Ocean Victory to Viktor Rashnikov. In the summer of 2016, a new Dilbar, which is now speculated to be the largest yacht by gross tonnage, was delivered to Mr Usmanov. As for Abramovich’s Navy, it has now been split up with Eugene Schvidler now owning Le Grand Bleu, Farkhad Akhmedov buying Luna whilst Pelorus and Ecstasea were both sold to Middle Eastern buyers. Whether this growth of the megayacht sector will continue is questionable due to renewed turmoil in Russia’s economy. Melnichenko’s newest 142m S/Y A project however does seem to be a good indicator that there may be one day a 200m yacht. Here below are some of the most advanced and industry-leading yachts that were commissioned by Russian oligarchs over the past two decades.